After visiting the rest of Harbor Island in the morning, I went back to my room to reequip for the rest of the day. I planned on visiting a few other places so of course I had to be prepared! A camera for pictures, sunglasses for sun, iPod-Nano-worn-as-a-watch for time, backpack for things, and water bottle for hydration. Because it was almost lunch time, I decided that I’d go for lunch. I had heard that Little Italy was nearby at the edge of downtown, which isn’t very far away from Harbor Island. I hopped into my car rental and drove downtown. I found myself a parking spot and marveled how technologically advanced parking meters have become. But the one I found didn’t use an app. Oh well. I walked around Little Italy a little bit trying to see a restaurant that seemed interesting, cheap, and good. I settled for Landini’s because it wasn’t a sit-down restaurant, the food looked good, and it was reasonably cheap. I went with a “Toscano panini”. After finishing my panini, I noticed that I had 30 minutes left before my parking meter expired. I had the brilliant idea of finding a bakery somewhere so I went to the Google and found a popular one several blocks away. I hurried over there dodging traffic and indecisive tourists looking for a place to eat. The trying journey of about 5 minutes was met with delicious consolation at Pan Bon. This bakery and cafe has an impressive selection of sweets and eats. I unofficially decided that my baseline standard of comparison for Italian baked goods is the cannoli. Therefore, I ordered two different kinds: the regular one and one of pistachio variety. Plus a tart for good measure. I hurried back to my car and set my GPS for my next destination: the Mission Basilica San Diego de Alcala. It’s not that far away from downtown, but it still involved some driving on the highway. I appreciate history and Catholicism and one cannot simply learn about California history without also learning about the string of missions that were set up by St. Junipero Serra, who just got canonized a few months ago! This mission in San Diego was the first one! It’s been around since the 1700’s, and it is still an active parish. I actually did the official tour quite wrongly because I went in through the side garden entrance. The front doors weren’t open and that side door was the only immediately obvious entrance onto the grounds. I don’t think it was supposed to be open because someone closed it later. As I was walking around the garden, I noticed a handful of families with kids holdings pamphlets almost seemingly doing a scavenger hunt. I later found out that you can pay $5 at the gift shop for a self-guided tour, and that’s what these people were doing. Those bells are a prominent exterior feature, and they were imported from Europe! I think the structure that holds them was actually rebuilt because the mission got destroyed at some point. Pardon me, as I like learning about history, but I don’t do a good job of retaining what I’ve learned. I didn’t take notes. I didn’t do the tour. Whoops. Conveniently, the side garden also has an entrance to the interior of the church. I went in and marveled at the simple and old-school Spanish style of the interior of the church. I’m not sure what’s totally original, but some of the paintings and statues looked pretty old. “Catholic churches are the only places where you can find people praying and there isn’t a service going on. Very true in that moment. I stayed up front for a while through a few cycles of groups before getting up again and continuing my unofficial self-guided tour. Dat front pew Jesus experience, doe! Throughout the grounds of the Mission are different marked out places and landmarks. Usually they explain some aspect of mission life or a historically significant object or location. Quite a few of these can be found around the grounds. I did stop by the gift shop because I’m usually on the lookout for some Catholic swag. I spent a long time browsing because I couldn’t decide if I wanted something specific to the Mission or something more generic. I ended up with a maroon knot rosary because, being a Fightin’ Texas Aggie, I never have enough maroon things. Even maroon Catholic things. Knot rosaries are nice because I can get through TSA security with them, haha. In the bookstore, I learned that you can actually buy a stamp book to chronicle a pilgrimage visiting all of the missions in California along the El Camino Real! Apparently you can indicate whether you walk, bike, or ride horseback. I thought going on a pilgrimage visiting all these missions would make a great bucket list item and a good warmup to doing the El Camino de Santiago in Europe, which is already on my list. It’s nice to know there’s a stamp book. Future reference! After the bookstore, I milled about another outdoor area. Some elderly Filipino women stopped me and asked me if I could take their picture in front of the water fountain. Apparently having a camera around my neck was an indication that I can take pictures. And then I’m usually the one who tries to verify whether my Filipino radar is working or not, but they asked me the question, “Are you Filipino?”, first. After saying yes to both taking their picture and verifying my cultural heritage, they continued to converse with me over simple questions in Tagalog. I really dig being Filipino because meeting Filipino strangers is so easy because that Filipino connection and kinship is immediate. One of them was kind enough to suggest that I go visit Old Town and even gave me directions. I didn’t have time to go this trip, but it’s certainly on my list of places to go visit next time. Whenever we parted ways, I looked around on the outside some more and then visited the little museum that they have at the Mission. In it are various artifacts from the past as well as stories surrounding those artifacts. The one thing that sticks out in my mind is learning about how the United States occupied the missions, including this one, during and after the Mexican-American War. When the U.S. won the right to own the land in what is now California, President Abraham Lincoln returned the missions back to the Catholic Church. How cool is that! I was pretty much done after the museum. On my way out, I shot this cool picture. I’m really glad I took the time to go visit the San Diego Mission. It really appealed to my appreciation for Catholicism and history. I was in awe that such a place has been around since the late 1700’s (okay, this might not be the original location, but whatever), and it was really cool to learn about its storied past. It also helped me gain a little more insight on St. Junipero Serra and the struggles of setting up this first mission. I know I want to read up more on him in the future. I was at work one day recently, and amidst my staring at Excel formulas, I had a random idea hit me like a stray blaster bolt. Perhaps it’s because of my subconscious excitement of Star Wars Episode VII coming out later this year and my general nerdy Catholic mind that allowed such a thought to float across my mind like a Jawa Sandcrawler. I’ve been trying to come up with a way to engage my fellow young adult Catholics, and I seemed to have been blindsided by the answer. I had this crazy idea. 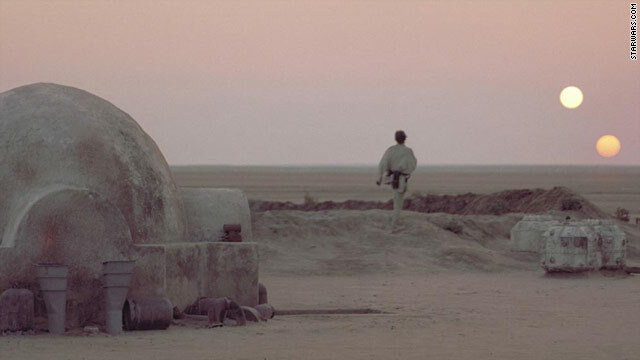 An idea that seemed brilliant as Tatooine’s two suns. What if…just what if…I could host Star Wars-watching parties! And not just watch Star Wars, but attempt to extract Catholic themes from the movies and discuss! And nerd out! 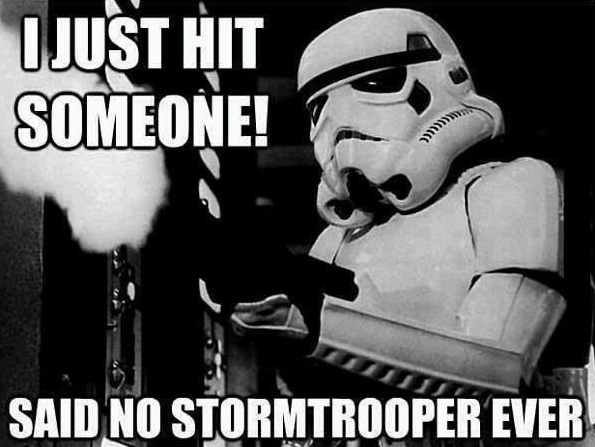 Now, I realize that Star Wars is totally not meant to be an exposition of Catholic dogma, doctrine, and discipline. Far from it, actually. But what I love about being Catholic is that it is universal and universally applicable. Part of where I’m at in my Catholic faith and spirituality is seeing it in everything. How does my Catholic faith play into everything that I’m already into? Particularly, in this case, the nerdy things I’m into? Can I put on a Catholic lens and see Catholic themes in things that aren’t even Catholic? That’s been my constant reflection in these here recent times. I bought the Blu-Ray set of all six episodes over a year ago and have since watched Episodes I-IV on my own. And I also got into The Clone Wars on Netflix. Allowing my Catholic nerdiness to collide with my Star Wars nerdiness allowed me to pick up on Catholic themes whether intentional or not. Ugh, Anakin Skywalker is such rich content. Much themes. Wow. Just even the first three Episodes had some good stuff to think about and relate to Catholicism! I wish I had written it all down! Of course, one thing I also love about being Catholic is the community in Christ. We, as human beings, are made to be in community with each other, and I find this truth to be lived out well through most excellent Catholic examples. Because of this, I decided that I shouldn’t watch Star Wars Catholic-ly by my lonesome with cold beverage in one hand and lightsaber with the other anymore. And that’s why I decided to shoot first and host such kind of Star Wars watching parties with my fellow Catholic young adults. Sometimes you just gotta let crazy Wookie ideas win, ya know? I look forward to the coming months in preparation for Episode VII (edit: super nerd-tastic-ful-ness-ly)! But even more joyfuly…I look forward to engage and build community with my fellow young adult Catholic Star Wars nerds and nerd-converts! But first, a selfie with a religious sister (a Daughter of St. Paul–the social media nuns!) and Darth Vader. I’ve mentioned or hinted at in the past that I’m an American Airlines kid. My dad has been with the company for over 25 years now. One of the benefits of being a family member of someone who works for the airlines is that we get flying benefits. Yes, that means we get to “fly free”, but not as a ticketed passenger. If you don’t know, there are two ways to fly. You can purchase a ticket, which pretty much guarantees you a seat on an airplane or you can fly standby, which means you only get a seat on the airplane if there’s an open seat. Flying standby means you get put on the standby list. Passengers on the standby list don’t get processed on a “first come first serve” basis exactly, but rather by priority. There are different levels of priorities that passengers can have, and usually passengers using rewards programs, passengers with emergencies, passengers who got bumped from previous flights, etc. tend to get higher priorities. On the other hand, people flying standby with employee flight benefits are on the lower end. And since I’m over the set age for a family member for American Airlines, I have to fly at the lowest priority AND it costs money (at severe discount, and it docks off that price from my dad’s pay check). The nice thing is…aiming for first/business class seats cost just as much as a coach class seat. So clearly I try to aim high. For 95% of my life, I’ve been flying standby because of my dad’s flight benefits. We’re always one of the last passengers to board the plane, we’re always getting bumped from flight to flight, and there were a few times where we have had to sleep at the airport terminal overnight because we couldn’t catch a flight. Crazy. In the past several months, I’ve had multiple trips to Japan. Fortunately, my company pays for my tickets and my project gives my team and I permission to get Business Class tickets. It’s a weird feeling for me to be a ticketed passenger. And boarding first because of Business Class and rewards status. And use of the nice lounges. It’s really nice to be able to experience the other side of flying with these business trips. I didn’t look up from my book, but that comment kind of rubbed me the wrong way. I wasn’t offended or anything. But it gave me pause to think about the circumstances at which I’m able to have such special seats. I mean, honestly…it’s my job that pays for this kind of seat. 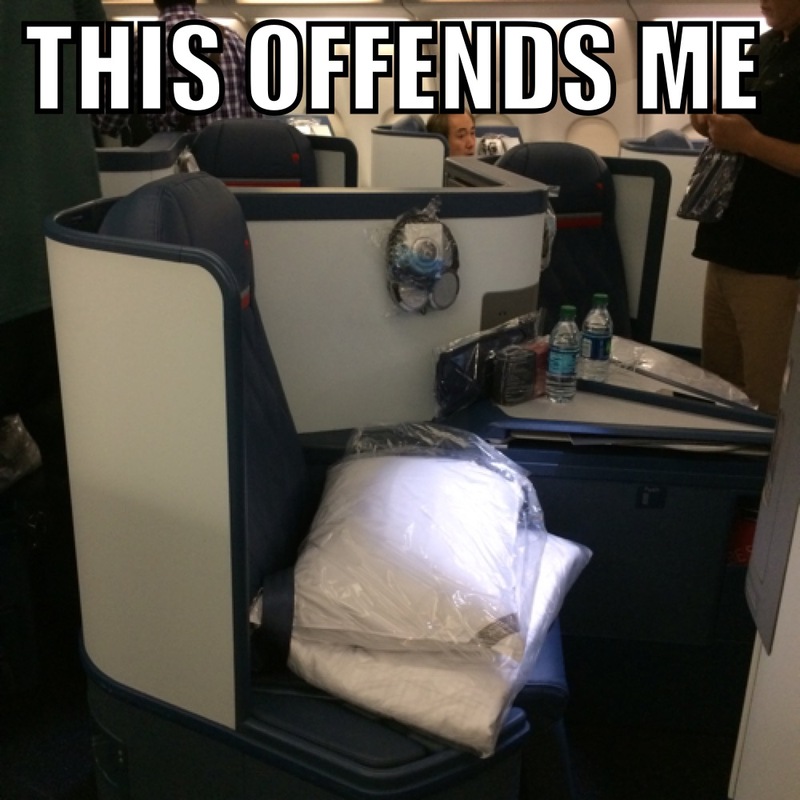 There’s nothing that I’ve done to merit that I need to have Business Class seats. On top of that, I absolutely had no idea at the beginning of the year (or even when I started my job with this new team that I didn’t put myself in) that I would get to travel to Japan as frequently as I already have. In other words, I didn’t place myself in this position to be able to have a Business Class seat. It’s very much a nice-to-have. So that passenger’s comment made me think about how grateful I am to have this opportunity to fly this way. And I would be just as content flying on +12-hour flights in Economy Class (via standby, and I’ve done it before for trips to the Philippines). 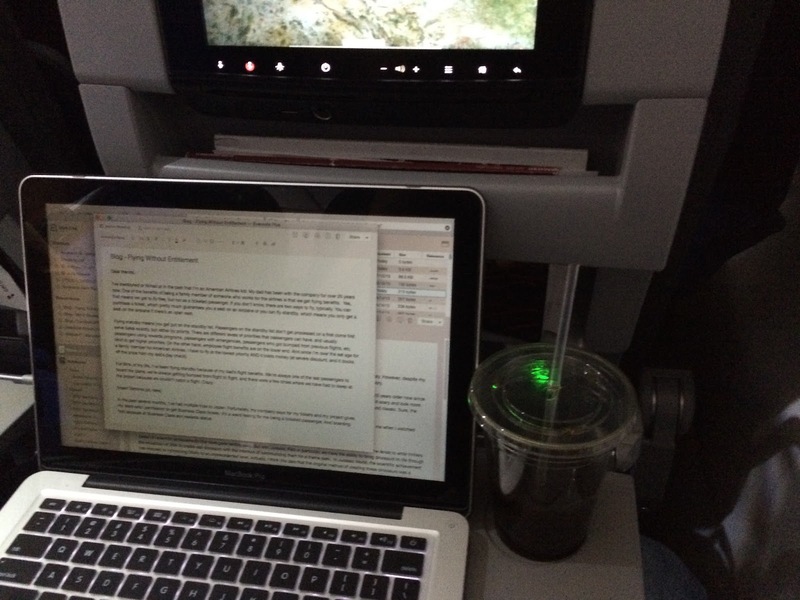 I actually really like flying standby almost moreso than flying with Business Class tickets. It’s very, very adventurous because it is so uncertain sometimes. Each time I fly standby and am able to get a seat on a plane, I can’t help but feel grateful for the ticket and to get on a plane. Lol, there was this one time that I went to Connecticut for a dear friend’s wedding. On the way back, I couldn’t catch a plane home. So I did some research for flights available to me as a standby and invented my itinerary as I went. In the end, I flew from Connecticut to Chicago to Arkansas. Then I spent the night in Arkansas (yay Kayak-ing up a hotel and car rental) and took the first flight out from Arkansas to home Monday morning. You see, if I were a ticketed passenger, i would’ve never gone that route! And I’ve never been to Chicago and Arkansas until that point! I also really like flying standby because I fly without entitlement. I’m often the last passenger on the plane. Use of Admiral’s Clubs and lounges are not included as I’m not a member or have a ticketed business class ticket. I don’t earn miles. I often get the least ideal of seats when I finally get on the plane. There’s always the uncertainty of being able to even get on a plane. Just to get the ticket to get on is good enough, and that’s what’s worth the sufferings of travel. Everything else is a bonus! I don’t need or deserve hot mixed nuts, complimentary alcohol, gourmet meals at all, choice of gourmet meals, seats that lie flat, a mattress I can put on top of my lie-flat seat, complimentary use of an airline-provided cardigan to wear while on board in case I get cold, airport lounge access because of Business Class tickets, priority boarding and luggage check-in, complimentary use of noise-canceling headphones, 13”+ widescreens for my seat, and the list goes on. I’m not entitled to the things that are available to me as a ticketed (and Business Class) passenger. But they are available to me because of my current blessed and fortunate circumstances that I didn’t purposefully put myself in. And because I’m not entitled, I am more fully aware of my sense of gratitude for these opportunities. That awkward moment when I apparently hit Platinum and get to board the plane first!…in the very back. And here I am working on this very blog post.